Lathrop, CA.– A collection of the world’s best professional wakeboarders delivered jaw dropping performances at the opening day of the MasterCraft Pro Wakeboard Tour presented by Rockstar in Lathrop, CA. A devoted crowd of west coast wakeboarding enthusiasts were treated to progressive riding across all three divisions in the Men’s Pro, Women’s Pro and Overton’s Junior Pro Series. Posting paramount day one performances were tour veterans Andrew Adkison and Phil Soven. They both excelled on Mossdale Quarry Lakes, boosting from the massive X-Star wake to claim qualifying round heat victories with stylish runs that were equal parts next-level aerials and precise rail riding. The Pro Women also showed up in top form today. Local rider Melissa Marquardt gave the hometown crowd something to cheer about by posting a heat-winning run establishing herself as a favorite to claim victory tomorrow. Not to be outdone by the hometown hero, Aussie rider Amber Wing also put in a stellar performance letting Marquardt know tomorrow’s final round will be no walk in the park. Wakeboarding’s future stars in the Overton’s Junior Pro series also dazzled the crowd today. Raising the bar each event this season has been Noah Flegel, who registered a near perfect score of 98.50 to once again position himself as a favorite to claim the top-spot in the highly-competitive division. 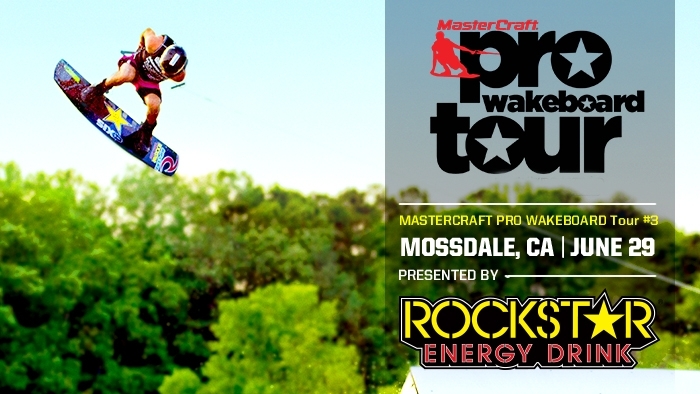 Following the final rounds of action tomorrow, fans can stay for the Polaroid Action Big-Air Contest. The event will feature top athletes performing exciting and innovative tricks that aren’t typically attempted in a traditional contest setting. Tickets for Saturday’s finals are available online for $7 (46% off the gate price) and include an exclusive Overton’s discount code for online buyers only. Gate prices are: $13 (adult); $5 (ages 6-12); free (ages 5 and under). The MasterCraft Pro Wakeboard Tour, presented by ROCKSTAR is organized by World Sports & Marketing of Orlando, Fla., and has the support of the following sponsors: MasterCraft, Rockstar Energy Drink, Overton’s, Indmar, Polaroid Action, Ronix, Billabong, Zeal Optics, CWB, Hyperlite, Liquid Force, Byerly, Peavey, Sayiwon’t, Epiphone and TransWorld WAKEBOARDING magazine.